Who are the people of the GCCC? GCCC members and their cars are all extremely diverse. A 1929 Bugatti may be overtaken by an Austin A30, followed by, for example, a Citroën DS, Renault Caravelle, MG A or B, Panhard Dyna, Peugeot, Rolls-Royce, Alfa Spider, Chevrolet Corvette, Opel Rekord, DAF …..
On purpose we do not set limits to the age of the car. We think it more important for people to feel at home within the GCCC. 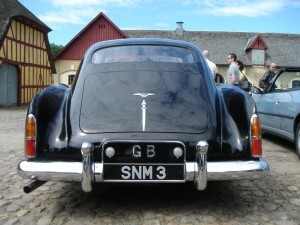 An interest in classic cars is essential. What is the aim of the GCCC? 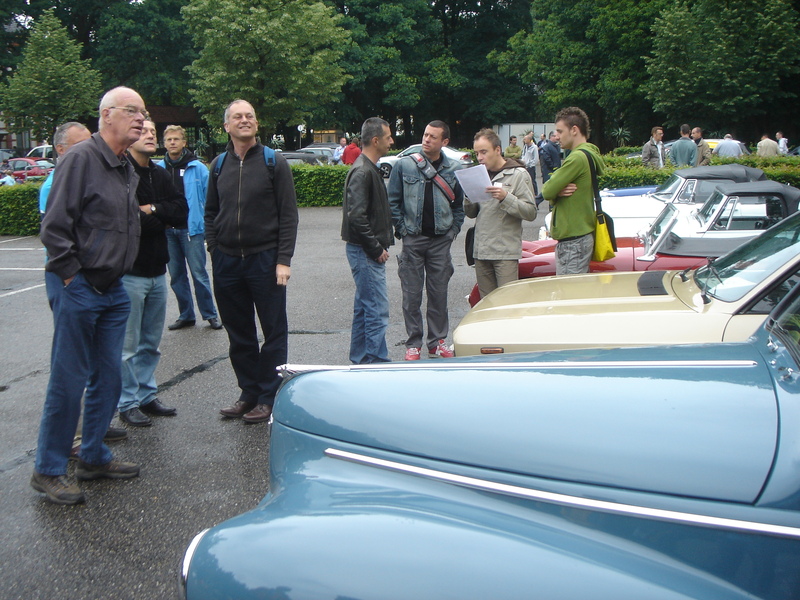 The Gay Classic Car Club aims at offering its members the possibility to meet each other almost every month. 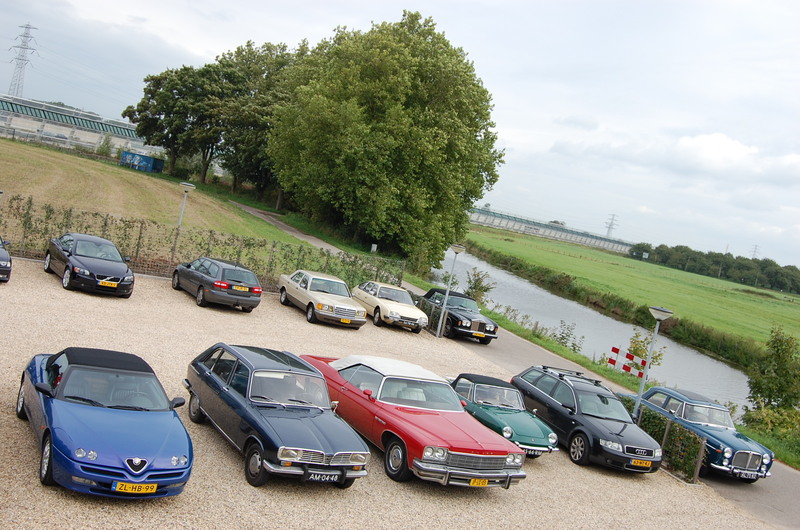 Most events offer the possibility to be actively engaged with an old car, but sometimes it is more enjoyable to watch all that collected beauty leaning back in a chair on a terrace with a beer in one’s hand. Members without an old car have ample opportunities to join other members in their cars. If you want to become a member please write to the secretary. The contribution is € 25.00 for members and € 15.00 extra for partner-members. Three to four times a year the GCCC Magazine appears in the Dutch language. This is our club magazine in which can be found reports of past events, announcements of new gatherings, members’ stories about their adventures with their cars and small ads. Apart from that, newsletters are sent to keep everybody up to date. As you can see we have an internet site and for members we have a newsgroup. Right from the start the GCCC has had excellent connections with a number of foreign sister clubs. 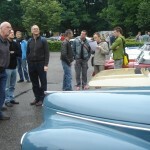 Good contacts with the French sister club Ledorga, the English GCCG (Gay Classic Car Group), the German club Queerlenker, and the Danish Gay Owned Vintage Cars (GOVC) with whom we have a lot of contact too. These contacts have led to a number of highly successful international events. These started off in 1993 when an Easter Run was held round Brussels during Easter, followed a few weeks later by the first RIGAC (Rencontre Internationale des Gay Automobile Club) at Le Touquet on the Normandy coast of France. 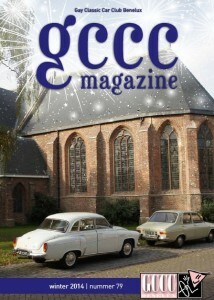 The year after that GCCC organised its first international gathering, with Maarssen as its base. 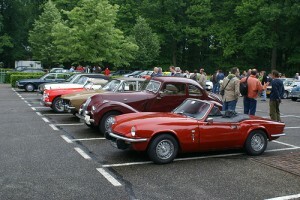 Since then it has become a tradition for each club to take turns in organising such international events, which have become known as “Eurotour”. 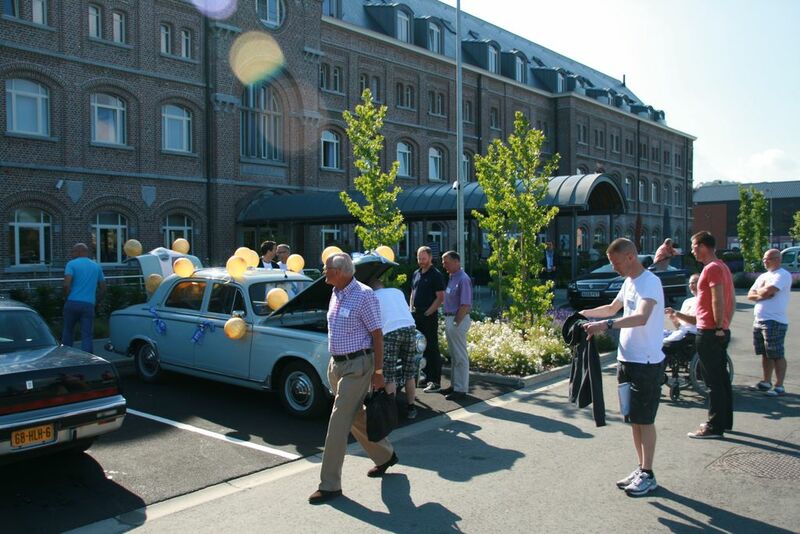 It was our turn in 2004, when, at Whitsun, we had a gathering of some 160 people in and around Antwerp. 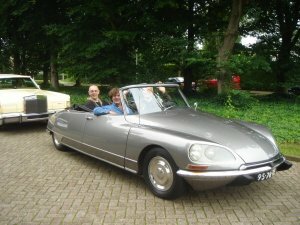 In 2005 the British club organised one around Southampton, 2006 saw a weekend around Gladbeck and Essen and in 2007 it was our turn again around Emmeloord (in the land reclaimed from the sea), with the motto ”Dutch Lowlands & Highlights”. From May 16-18, 2008 we were guests in the British Cotswolds, a special Eurotour organised by the GCCG. 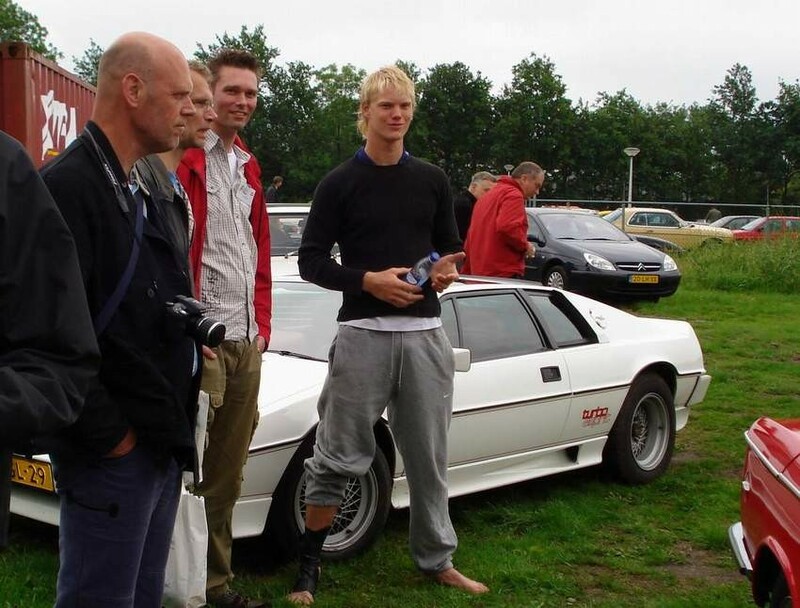 In 2009 we helped Anders, Lars and Steffan from the Danish GOVC to organise the first Eurotour in Denmark on the Island of Fynen (May 29 – June 1, 2009). In 2010 QueerLenker organised Eurotour, from May 21-24 in Neumünster, near habour city Kiel. 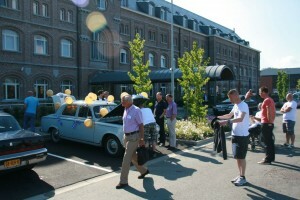 From June 10-13, 2011 the GCCC organised Eurotour in Belgium again, this time in Verviers. In 2012 for the first time a Eurotour in Switzerland from Bern took place from May 25-28. Eurotour 2013 from May 17-20, 2013 took place in Wiltshire, organised by our sisterclub GCCG in the UK. In 2014 Denmpark organised a Eurotour in Lolland and Falster. Queerlenker organised the Eurotour in 2015 (May 22 – 25). It was situated in the Pfaltz, the region between Frankfurt and Alsace. GCCC was host again in 2016 (May 13 – 16). 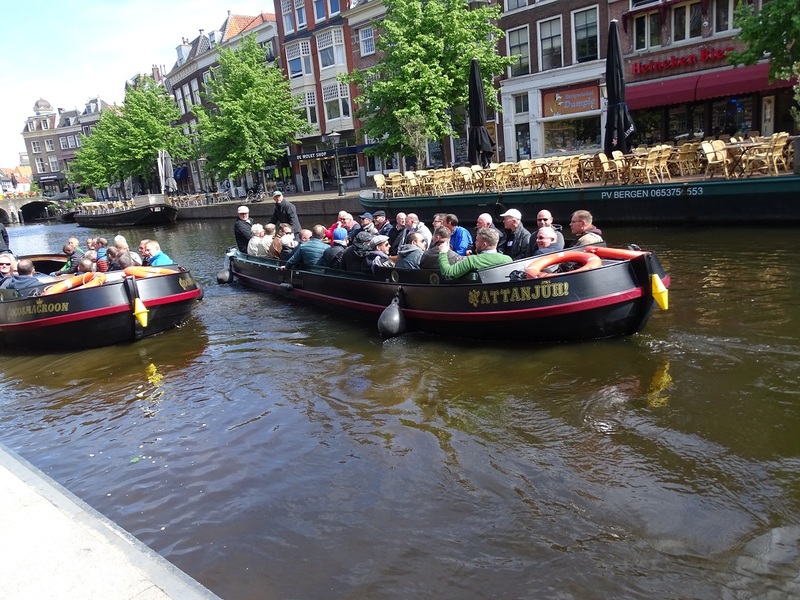 This time it was the area between Leyden and The Hague, with a visit to the Louwman Museum and a round trip by boat through the Leyden canals. The members’ area has the possibility to post links to your personal photo albums. This way you can simply share your photographs with your GCCC-friends. So, log in and place links to your photo collections. 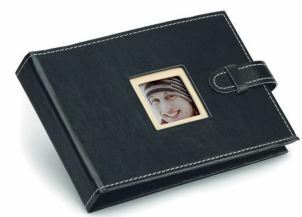 Or have a look at the many photo albums which go back to as far as 2003!